About a week ago, we took Maya to the vet again for a followup. This time we met with Dr. A, who's the owner of the clinic and an expert in TCM (Traditional Chinese Medicine). Before the appointment, I made a long list of foods we fed and things we tried, just so I could be more efficient at going through Maya's history. He thinks the diet is clean, healthy and balanced. Maya's weight, bones, teeth, joints, ears, tongue all seemed perfect. Her fur and paw pads are a bit dry, but not out of the norm. After checking everything, I can tell from the doctor's body language, he's out of ideas as well. Blood Deficiency: In Traditional Chinese Medicine, dry skin/feet. itchy coat, dandruff, and scratching is a result of Blood Deficiency. The Blood acts an a moisturizer and lubricant, and helps to subdue Wind (pathogen that manifest as itching, scratching, shaking, trembling, seizures, etc). Blood deficiency can also cause poor stamina, fearful behavior, night time anxiety, and dry tendons/ligaments which predisposes to acute soft tissue athletic injuries. Yin Deficiency: Your pet is running hot if, 1) panting with minmal effort, 2) excess drinking/urination, always thirsty, 3) seeking cool places to rest/digging holes to lay in the backyard, 4) heat intolerant, 5) dislike small confined areas like cars, 6) excess shedding. Because we were down to our last Atopica pill, we also had to decide whether to purchase another refill. After discussing with the doctor, we agreed to stop using it for now, as it hasn't been as effective, and give her Claritin daily instead. Dr. A also prescribed some Chinese medicine, called "Si Wu Tang (四物湯)". I couldn't understand the doctor's Chinese (he's a Caucasian), so had no idea what he was trying to give me and was quite surprised when the tech handed me the bottle. Si Wu Tang means "Four Substance Decoction" in English. 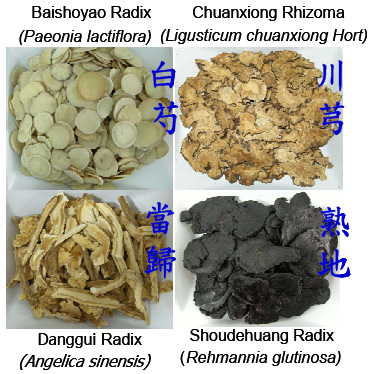 It is a common supplement used for regulating menstrual cycle, and probably almost every woman in Taiwan had taken it at some point. I was also surprised by the price tag, but both shocked and relieved to find the exact same thing online for one-third of the price. I do want to believe that the vet wasn't trying to rip us off, but had to charged us so much because it's not that easy to find and they can't just stock up as not that many pets would need it. Anyways, if we do need to keep her on it, at least I can get it online. I can probably get it even cheaper from Taiwan or just purchase the herbs directly from a Chinese herb shop. Since we got back from the vet visit, we stopped the Atopica and started on Si Wu Tang and Claritin as advised. The frist few days were terrible. Maya was constantly scratching and there was no way to stop her. Fortunately, it got a bit better in the past few days, maybe it's the Si Wu Tang, the Claritin, or the weather. I just don't know. It's still far from ideal and probably just the same as when she's on Atopica. On the bright side, at least her poop is firmer (was really mushy because of the meds), and she had no problem eating up the herbs (even licking the bowl clean). 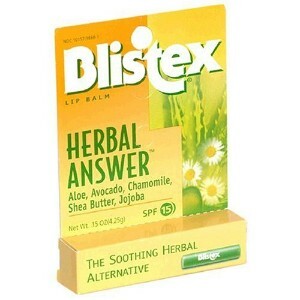 I also found a new lip balm that seems to give her some relief and last for a while. I guess I've been so frustrated, not really because I'm not seeing any immediate improvements, but that it feels like we are trying yet more random things that we hope would work. Maybe my expectations were just too high. I was hoping the doctor would say something like "I've seen many dogs with this problem, and they all got better by doing X, Y, and Z", or like "No wonder she's sick. You shouldn't feed her A and B, but give her C and D instead". I'm just so tired of "let's try this and that and come back in four weeks to see if it's better". It's like a black-hole, sucking up my patience, time and money. It's sad that I waited a whole winter for warmer weather and longer day time, but now I just wish summer ends soon. Maybe I should just give myself a break and stop being so fixated on the idea of "fixing" her. Maybe I should focus more on the good things, like her sweetness and great temperament, instead of just noticing the wounds on her face. Maybe.